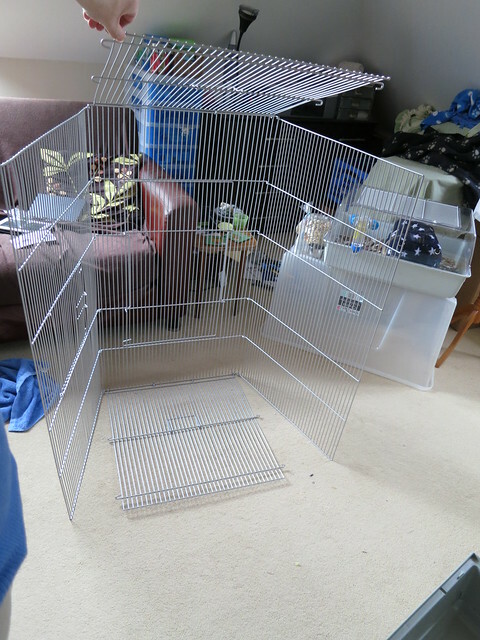 Reviews of cages and carriers. LPW's website spends a lot of time going on about how solid this cage is and they're not joking. It weighs a ton and has very thick bars, and I recommend taking their advice about crimping the hooks that are used to assemble it closed with pliers as it's a nightmare to get onto the base if you don't. You may also need someone with some strength to help you do that if you're older or particularly small! Access is fantastic, the huge door in the top makes setting it up a breeze. The bars clip onto the base so the whole top can be removed to scrub the base down at cleanout time. 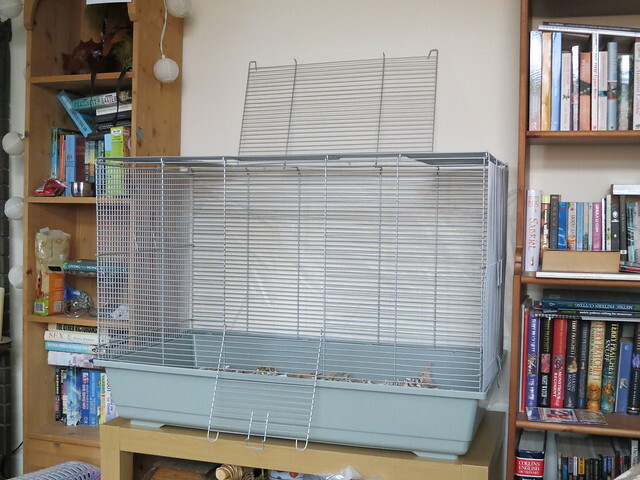 One large main door in the front of the cage which closes with a hook - if your rats are escape artists this may need a bit of reinforcing as it bends the bar it hooks onto and will lose its firmness over time. It's heavy but has handles on the short sides for moving it, good job it does in my personal opinion. 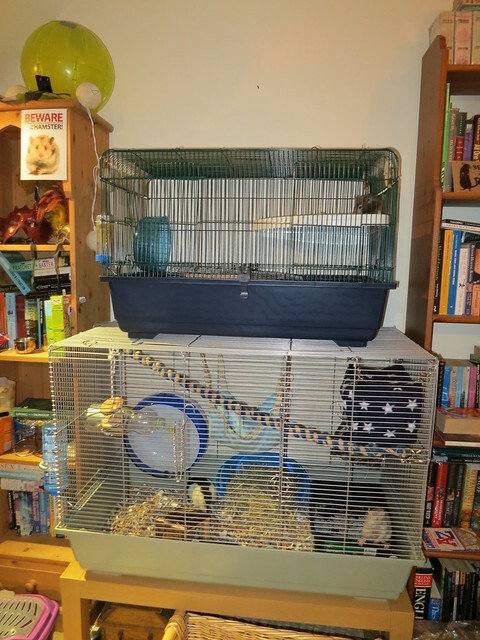 It comes with two plain wood shelves and ramps, not shown in the photos. Great for chewing but I'd recommend painting them as they're completely unfinished and will soak up wee the way they are. The bars as they are when you get them out of the box. They're all folded together and it can take a bit of brute force to get them to unhook and fold out. 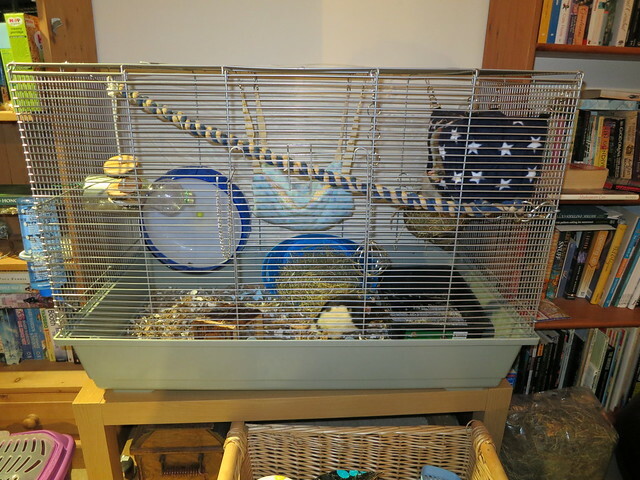 And this is why I needed to replace the 100cm Mamble - that's an 80cm Mamble on top with my Syrian in. The wires on the bigger Mamble were bending alarmingly under the weight!